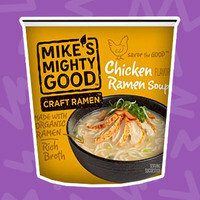 Take a seat, old-school instant ramen... Mike's got this one covered. This just-add-water soup & noodle cup features organic ingredients, better nutritional stats, and mega flavor. Seriously, the broth tastes amazing! The brand has other varieties in soup cups and noodle pillow packs (like Savory Miso, yum!). Available nationwide, so stock up before cold weather kicks in. The people behind some of our favorite jerky have gone chicken! But there's nothing wimpy about bold habanero and sweet honey flavor... Mmmm! 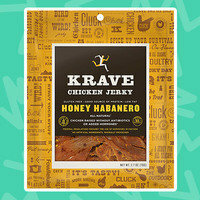 We love that KRAVE produces jerky that's completely natural, incredibly tender, and super tasty. And this new variety is made from chicken raised without antibiotics or added hormones. The brand also recently debuted a Pink Peppercorn Beef Jerky. (Spoiler alert: It's delicious.) Click to find KRAVE Jerky near you, or order some online. Face it: Aerosol cooking sprays tend to have the most unrealistic serving sizes. Sure, a serving technically has 0 calories, but who sprays the stuff for only 1/4 second? We like having all the info and more control. 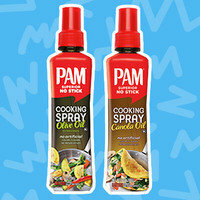 Enter these non-aerosol sprays in Olive Oil and Canola Oil! Both are free of artificial colors, flavors, and preservatives, and each pump releases 2 calories' worth of spray, so there's no guessing game. Start spritzing! 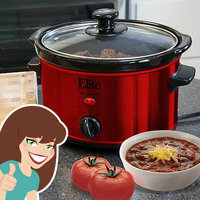 Large slow cookers are great, but not everyone can work their way through twelve servings of chili in one week! Enter this petite pick. This baby costs under $20 and comes in gorgeous colors. (Love that candy apple red!) It's perfect for singles, small families, small spaces, or small budgets. Bonus: Use it to keep party dips (like this fondue) warm on a snack table. Crock 'n roll! It's October 16th, World Food Day, founded by the Food and Agriculture Organization of the United Nations to promote awareness and action around world hunger. Click to find out more! Pass it on! Click “Send to a Friend” to share this news now.